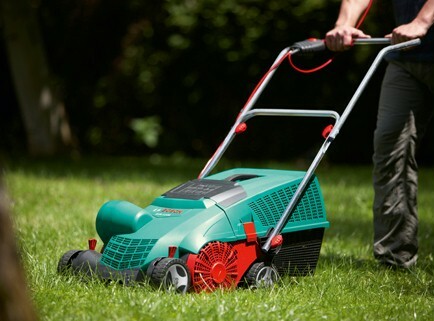 Now that the warm weather is here it time to look after your lawn and put back what this wet few months have taken away from it all.
. 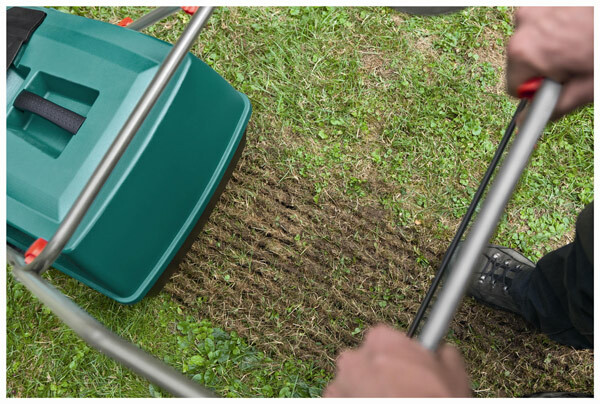 This process not only makes it easier to cut on fine grasses but also gets rids off excess moss and thatch that will eventually clot your mower. (2) OK so the only thing that’s upsetting your grass is a fungus called yellow spot. 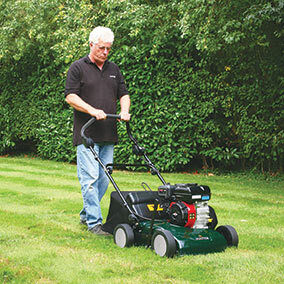 Not long ago the general rule was to feed the grass 3 days before you cut or three days after this was so that the feed wont scorch the newly cut grass. But now there are After cut on the markets so you can cut and feed the lawn at the same time . the only difference is the price .The brands to look for are the ones with high nitrogen ratio content. 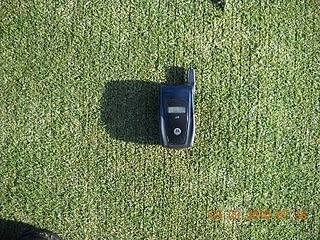 These are then measured out and dispersed by the use of a hopper see picture opposite. 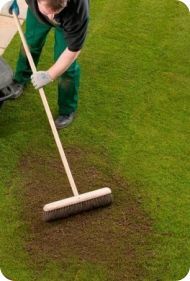 After wards leave for 3 days or until the Moss & weeds have died or turned black in some cases then rake it either with a rake or scarifier. Next thing to do is to reseed any patches that you left when you raked the lawn. This can either be done by hand ( I go by the Golden rule to allow for Birds and poor germination and mix up twice as you would recommended by the packet a 30 grams to metre square ). Then a good helping of lawn top soil you then spread it evenly into the grass, As with fertilizers you now can get pre-germinated seedling that have all ready been treated to start germinating therefore giving less for the birds to eat as they don’t eat grass shoots. However these seeds have to mixed with fine sand to separate the seeds. Since I wrote this article there has been some recent developments in feeding techniques and mowing. Since now We are going towards the trends of Organics now. 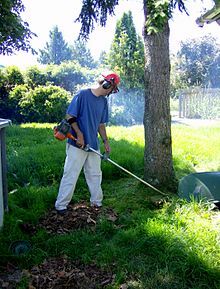 The first way is by using a machine called a mulcher, basically this machines the grass so finely that it doesn’t need a bucket and thus cuts out the need of composting or taking the grass cutting to a dump. 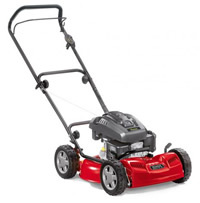 This entry was posted in My Project, Spring Sowing and tagged Dethatcher, Fertilizer, Lawn, Lawn and Garden, Moss, scarfying, tilling, Turfgrass, verticuting on April 26, 2013 by IDogardening4U.